You can tell I’m feeling nostalgic at the moment, because I keep e-mailing my mum asking for old family recipes. 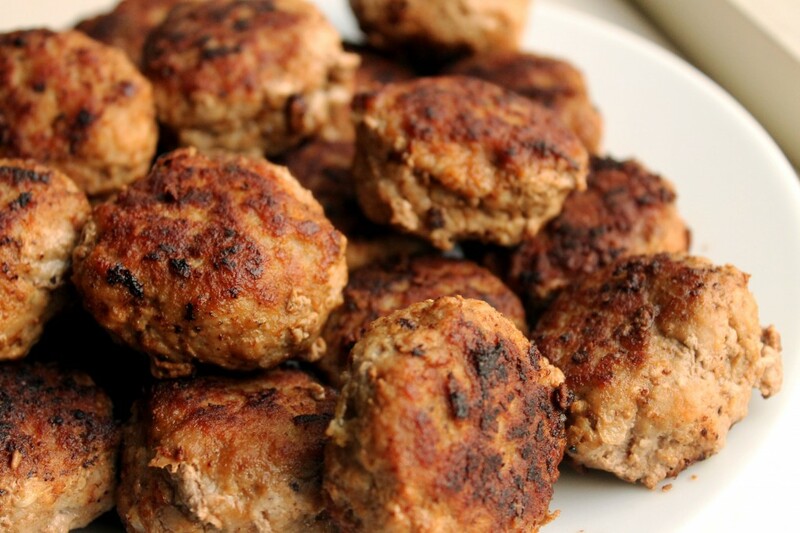 Today I had a hankering for frikadeller, the Danish version of meatballs. They are normally made with flour, but when my mum and I were diagnosed with coeliac disease, we decided that a gluten-free version had to be done. And honestly, they taste no different, which is how we’ve managed to slip the gluten-free versions into the annual Boxing Day lunch without any complaints from the staunch food traditionalists on my Danish side of the family. Reactions from family members to your coeliac diagnosis can be funny. At a family gathering a few years ago I was on a table of my cousins and a few second cousins and, as the caterers had brought me gluten-free bread, the conversation turned to coeliac disease. “How do you get it?”, one cousin asked. I really can’t pinpoint why these meatballs taste so much better than any other meatballs I’ve had. It’s probably the addition of onion, eggs and milk. 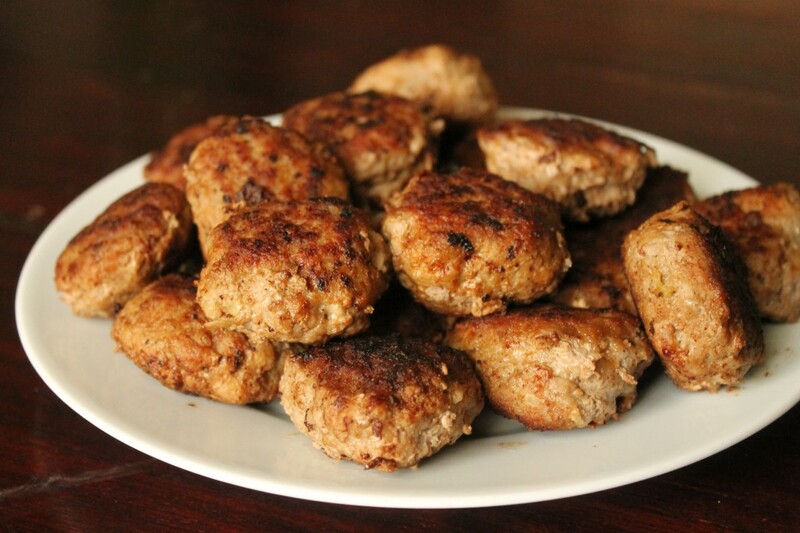 These are of course great served warm, but my particular frikadeller fetish is straight from the fridge. And can I tell you a secret? These are the best food to come home to after a night out drinking. In Denmark they often serve these at the end of a party, and they are great for lining the stomach. If you do have any leftover, these can be used to make the famous Danish open sandwiches (smørrebrød) for lunch. It’s getting easier to find “rye bread” style gluten-free bread in the shops, so simply spread with some butter and cut the frikadeller in half lengthways for an authentic Danish experience in your own home. Don’t forget to eat with a knife and fork. A gluten-free version of a popular Danish dish. Put the minced meat, eggs, onion and flour in a bowl and work with your hands until well combined. Season with salt and pepper. Add a splash of milk and beat firmly with a wooden spoon. You should get a soft, but firm consistency. Chill the mixture in the fridge for 10 minutes. Melt some butter in a frying pan. Form small meatballs in your palm and fry them in the pan, turning occasionally. Be careful not to crowd the pan too much. They are done when they are a dark brown colour and they have firmed up. Place them on a paper towel to drain the excess butter. Serve warm or cold. These can be frozen. These look very tasty! 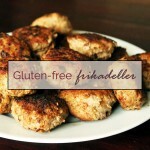 I love meatballs and you certainly cannot tell that they are gluten-free! A great one, as you say, for getting past anyone who is skeptical! Next time I make meatballs I won’t be calling them that. Yours sound far more exotic!!! Haha, well I’ve never thought of Danish food as “exotic” but thank you. These are really good – so good I ate the rest of them for lunch today… whoops! These look delicious, I love meatballs! Do you think it would work to bake these in the oven rather than fry? I’m sure it would “work” – not sure that you’d get the distinctive almost-crust that you get from frying these. You could try brushing them with a little melted butter before putting them in the oven. I’d be curious to see how they turn out! Oooh these look good! I don’t eat meat so I’ve actually never had a meatball. It would be interesting to see whether I can replicate this recipe using soya mince instead of pork!